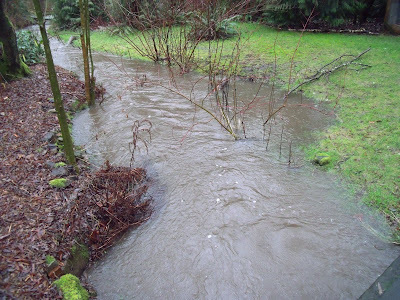 We've had a lot of rain overnight and all morning and as you can see, the stream is running fairly high. 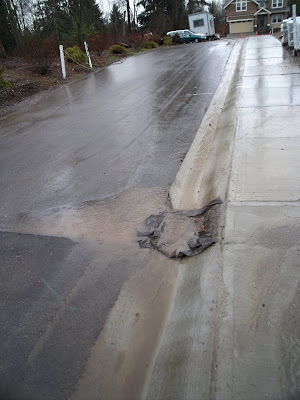 All of this rain makes it painfully obvious that the construction project down the street still doesn't have adequate erosion control, and muddy runoff is going into the nearby street drains that empty into the wetland across the street. There are regulations in place that should be enforced that would easily keep this from happening. According to the city's own information, a minimum of 2-inches of mulch should be used, not the ridiculously thin scattering that was applied at this location. Also maybe silt fencing. Whatever is needed to keep the soil on site. 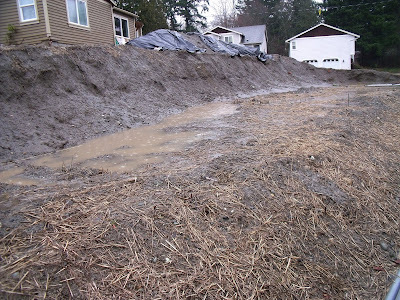 Once again, here is a link to a pdf version of the City of Kenmore's Erosion Control Requirements. 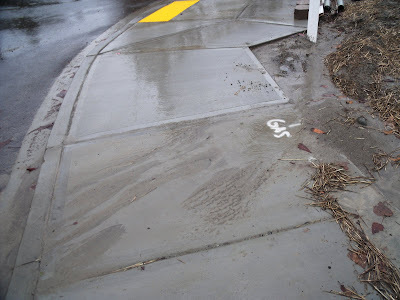 The houses being built here must have to pass periodic inspections, so the question is why the building inspector doesn't enforce the runoff regulations. 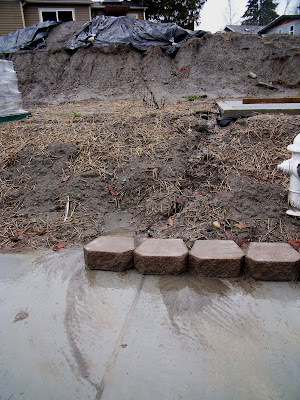 The sad attempt at erosion control. 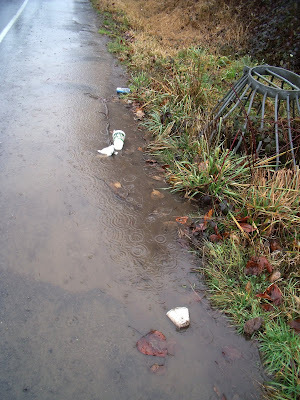 ...especially when it is trying to hold back a little stream running off the slope. 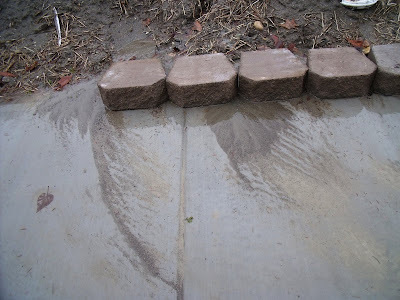 Muddy runoff flowing across the sidewalk further west. 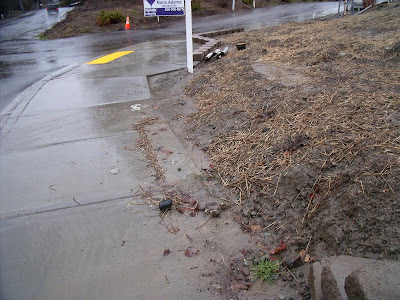 A lot more straw and a silt fence along the edge of the sidewalk seems like it would be a good plan to me. Muddy runoff down the internal road. 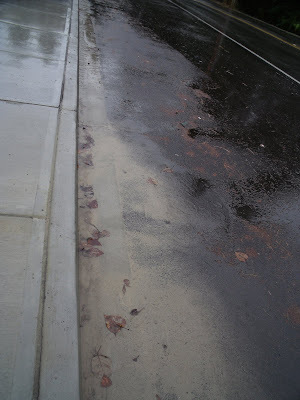 Muddy gutters heading east on 192nd from the cul de sac. Muddy water heading west from the cul de sac. 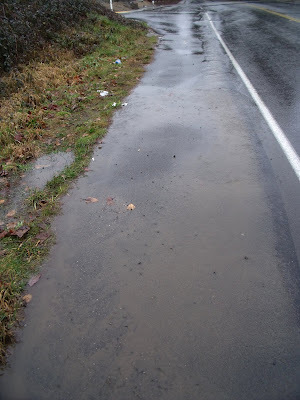 This is a big drain that directs water under the street and into Wetland #3, which stretches from 192nd to nearly Bothell Way and includes Swamp and Little Swamp Creeks. 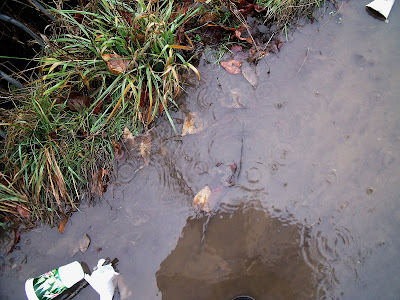 The muddy puddle next to that large storm drain. Love the litter, too. Did you send these photos to Megan Darrow or another contact at Department Of Ecology? Who is in charge of this project at DOE? Is this project upstream or downstream from your property? I assume it's upstream and that you are receiving muddy water due, at least in part, to the project's lack of erosion control. After you contact and get reply from Dept of Ecology, there is a person in Kenmore who can redtag the project, if that's justified. I forget his name but I've heard from a friend in the EQC in Lake Forest Park that the fellow is contracted for Kenmore and LFP. Good photos!